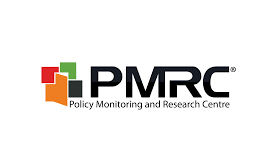 The Policy Monitoring and Research (PMRC) says government should make institutional changes to its planning and procurement capacity to secure productive, cost-effective and diversified power sector investment portfolio. And PMRC has encouraged youths to show responsibility by utilizing funding resources based on their business plans. In a statement, PMRC Executive Director Bernadette Deka suggested that the state should establish a strategic vision for Zambia’s energy portfolio and guide procurement. Deka said that there was need to speed up reforms based on diagnostic study on ZESCO Limited to improve the credit-worthiness of the power utility company. Deka observed the need to make governance reforms to the Energy Regulation Board (ERB) to improve its independence and its effectiveness so that it better serves both investors’ and consumers’ interests. “Renewable energy is growing rapidly on a global scale, with record numbers of new renewable energy solutions ranging from wind and solar installations coming online every year. Zambia can readily continue this expansion of renewable energy by utilizing existing technologies, investing in improvements to our electricity system, and making smart policy decisions that move the country towards a clean energy in future and harnessing its vast potential for renewable energy,” she said. And Deka has encouraged youths to show responsibility by utilizing funding resources based on their business plans. The center says this will yield better outcomes for repayment and subsequent benefit for other youths because the loan facilities were designed to work as revolving funds. She expressed concern that non-payment of loans by youths presents a challenge for growing the base of young entrepreneurs. “ Government should align its strategies to increase incubation support to businesses to create a generation of innovative entrepreneurs with unlimited potential to grow,” she said. Deka has also recommended that government should strengthen labour regulations and skills development programmes by focusing on policies to improve the quality of labour supply. The center said that this will achieve better market matches between available stock of labour force and the demands of industry. Deka has also observed the need to restructure university curricula towards producing professionals who can meet the needs of industry. “Improve quality and Technical and Vocational Education and Training Programmes by focusing on generating young entrepreneurs that are relevant to the times and industry needs. This should be focused on support to up skilling and skill training to support economic diversification into agribusiness, tourism and construction which provide opportunities for large numbers of young people to engage in non-farm work in both rural and urban areas,” she said.